Our lifestyle and jobs bring challenges to our bodies. 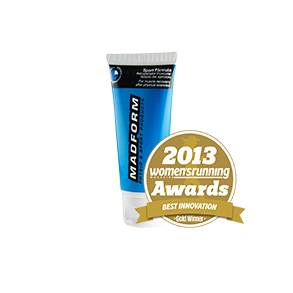 Madform has something for you to help bring that smile back on your face and to keep you moving forward. No matter what, you have to love yourself first. Find your Madform to help soothe those aching muscles and joints caused from your daily lifestyle and job. Madform has got you covered whether it’s construction, office, retail, traveling, warehouse, specialized field, gardening, and so much more. Be smart, prepare and protect your body for success. Use our Warm-Up Cream on your muscles to help prevent injuries and train with confidence. To achieve optimal muscle recovery you need to ice down affected muscles to reduce inflammation and then maximize blood flow to generate healing and recovery. Immediately apply MadFreeze Cold Gel after training to reduce inflammation. Then afterwards while resting, massage in some Madform Sport Formula to affected muscles to increase blood flow and feel your muscles heal. Feeling extra sore and fatigued? You might want to use something stronger. 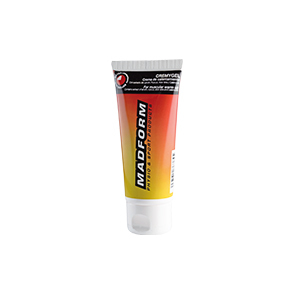 Try out Madform Double Power to double the soothing action and pain relief. With these deals there is no excuse to not take care of your muscles. Whatever you think you are saving by not buying Madform is nothing compared to the cost of injury and time taken off from training. No pain is all gain! Copyright © 2017 Bounce Quintessence Co., Ltd. All rights reserved.